Medieval society was predominantly agricultural, and for the men and women who worked the land, tasks were many, varied and labour intensive. However, until the late 20th century, the important role played by medieval women in the peasant household was largely ignored by historians. Until the rise of ‘grassroots’ social history, history dealt with the well-documented personal and political lives of royalty and the nobility, and dramatic events such as the Black Death. We know about the work – but not the lives – of the craftsmen who built the cathedrals, and developed useful tools such as the plough and the waterwheel. Much, much less has been written about the work of ordinary medieval women. But recent research shows that a married woman shared all of her husband’s labours on the family holding. In fact, women were an essential part of the harvest labour force. They followed the harvest as gleaners and helped with the reaping. They planted peas and beans, weeded, threshed, winnowed and thatched. 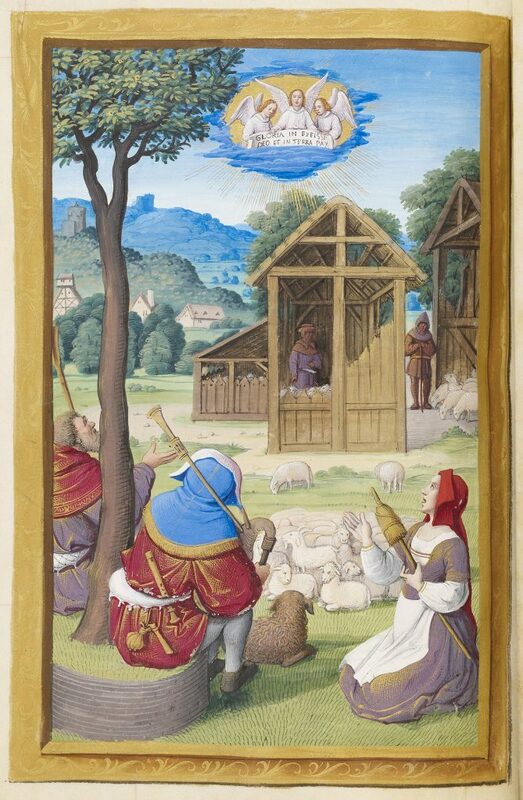 They did much of the sheep shearing, too. In addition to all of these tasks, women were expected to run the household and rear their children. I once owned a calendar featuring illustrations of medieval women at work, copied from medieval manuscripts. It always fascinated me to see the assortment of jobs depicted, most of them performed outdoors and requiring a degree of physical labour. In fact, the diversity of medieval women’s working roles is surprising – their work was much more varied than in the 18th and 19th centuries, for example, following the Industrial Revolution. On one page of the calendar, a woman was shown shearing a sheep with clippers; on another, a woman was carrying a large bag of grain on her back, to a waiting boat. A group of female gardeners were depicted digging with spades outside a cathedral, supervised by a noblewoman. Women were shown building a stone wall and helping to reap the harvest. One particularly plucky woman was beekeeping, with a large bear lurking nearby – look carefully and you’ll notice that medieval images often include quirky details such as this! Although all of these tasks were outdoor, physical tasks, women’s work tended to take place in or near the home, the source of their other employment – domestic tasks. Unsurprisingly, women bore the burden of domestic duties: they cooked over the fire, washed clothing in the stream, sewed the family clothing, spun wool, cared for sick family members, fed the farmyard animals, and cultivated gardens for food and herbs. They could also be called upon to assist at the birth of a baby, as men, even doctors, did not attend births. Married women worked to supplement their husband’s earnings, though their economic activities were seen as being secondary to those of men. Single women and widows worked to support themselves and their children. Women made and sold drink, food, cloth and clothing. The lowest levels of these trades generated relatively little profit, but were seen as an acceptable extension of women’s domestic duties. It’s a little-known fact that women brewed and sold most of the ale drunk in medieval England. Women brewed ale for their own families to drink, so selling their beverage commercially didn’t seem inappropriate. However, after 1350, men began to take over the brewing trade. By the late 1400s to around 1500, the demand for ale fell in most parts of England, due to the mounting popularity of beer. Beer brewing was expensive; it required access to substantial capital and credit for the equipment needed to manufacture and transport the brew. It also required more labour than a single household could provide. And so women’s access to the brewing industry became limited. 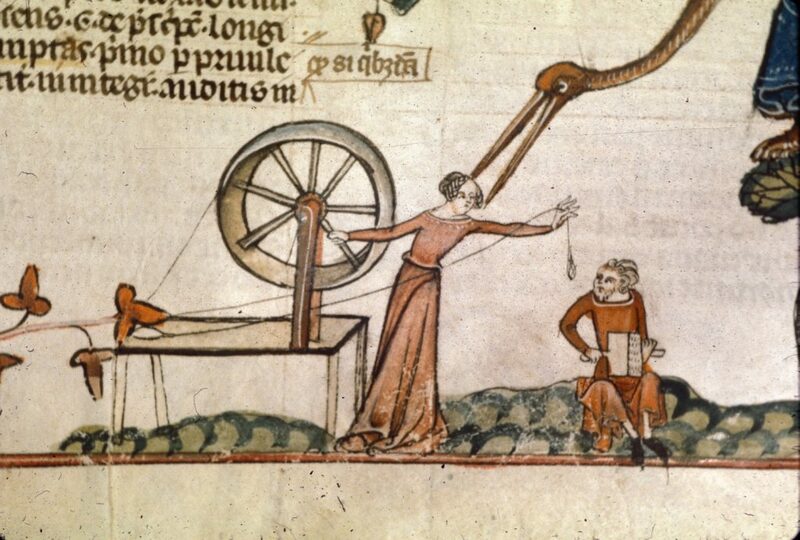 Before 1500, the term ‘spinster’ meant a female spinner, as nearly all clothing was made from wool. Woollen cloth production was England’s primary industry, and production increased sharply over the 14th century. Medieval cloth production was extremely labour intensive, requiring smoothing, combing, spinning and washing of wool, all work done by women. These tasks required little capital and could be useful for married women to supplement their family income, though they paid little. The work could be picked up during spare moments and integrated with other economic and domestic activities. The sedentary nature of textile activities particularly suited elderly women. The woman holds a distaff, a short staff which holds a bundle of flax or wool ready to be spun into yarn or thread. During the late 15th and early 16th centuries, women, especially widows, operated shops selling diverse goods whose value rarely exceeded a few hundred pounds. Shops provided a comfortable home, with storage space for goods and chattels, though the majority of women earned only a modest income. Most businesswomen sold directly to the consumer; some London women received rental income from their shops or warehouses. 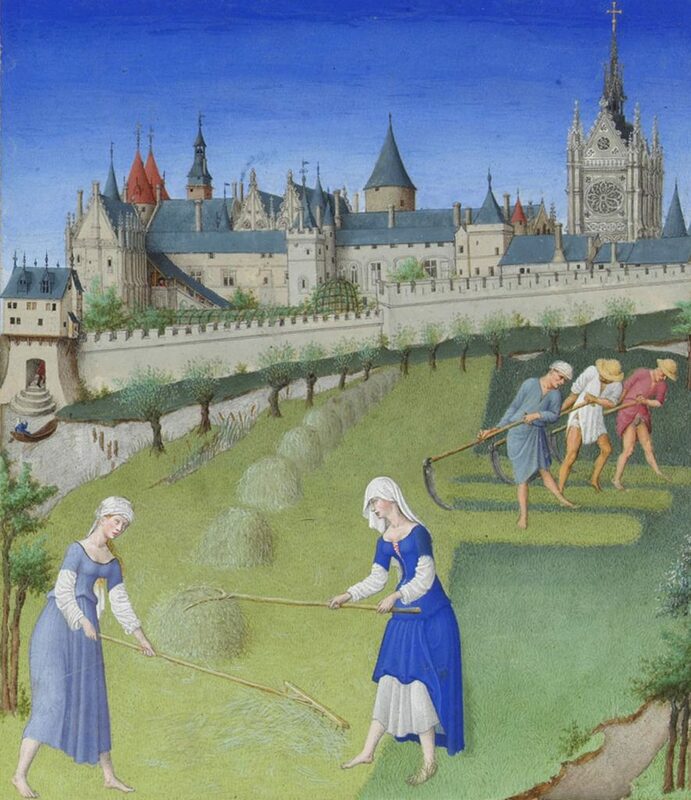 Chapter 5, by Helena Graham, deals with labour and gender in the late medieval countryside. Marjorie’s book discusses a wide range of women’s work: as money-lenders, producers and sellers, ale brewers and sellers, as workers in the food trades, as innkeepers and as skilled craftswomen. Most profits earned by women were modest, but an unusual case was Agnes Pafford, of Southampton, who traded on a large scale with Brittany (see page 125). Judith discusses the role of women in commercial brewing, and describes how Denise Marlere, who died in 1401, brewed for more than 20 years, managing a successful business and investing heavily in equipment and supplies. But for as long as her husband, Nicholas, lived, her brewing only supplemented his work as a butcher. Visit the scholarly online database JSTOR and use the Advanced Search option, combining search terms such as ‘medieval’, ‘women’, ‘work’ (type each word in a separate search box). Anyone can use JSTOR within the Library building, but you need to be a Victorian State Library member to use JSTOR at home. 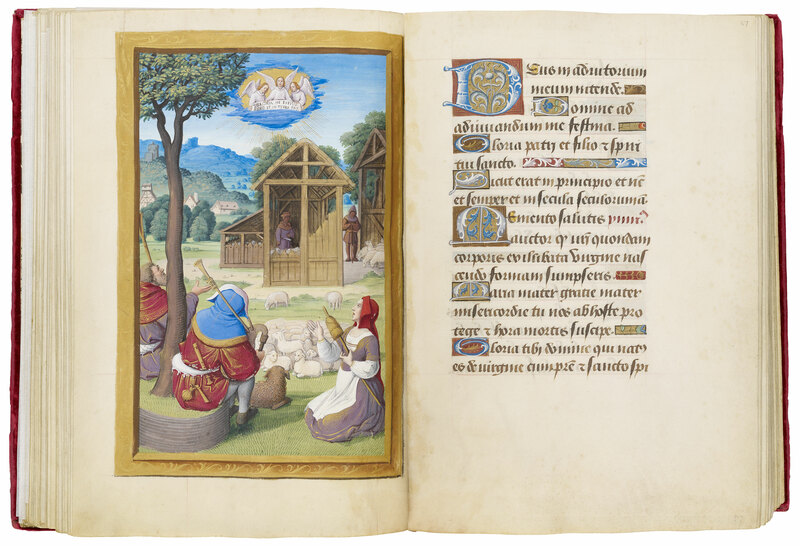 Explore the Library’s collection of 27 medieval and renaissance manuscripts. My ancestor did what for a living?? Another interesting source for the later medieval period are wills. My Farnham ancestors lived in Cambridgeshire and I have them documented back to the 1460’s. In my 13 x great grandfather, Thomas Farnham’s will, dated 1 October 1499, he made his wife Katherine and sons William and Richard the executors of his will. In his will he gave his daughters lamps and his sons his middle sized cupboards. Wife Katherine got the beds and all the domestic utensils not already bequeathed. Moving into the early modern period, son William (12 x great grandfather) in his will of 14 November 1555, he gives to his wife Denise “all such implements of household and also all other goods and chattels which she had of her own at the day of her marriage to be delivered within one month space after my decease saving seven pounds which I had for the loan of her mill which I will mine executors shall pay in four years, that is to say, at coal fair next immediately following and so yearly at that day 40 shilling, at the 4th year 20 shilling in full payment of seven pounds. I give my said wife one cow called Dove, one hog which she will, one acre of rye lying in Herring Pyth Hole, 2 furlongs and half an acre of barley lying against the butts to be sown for her by mine executors. I give unto her one half acre and a half rod of saffron ground at Bigeng Hedge, one half acre at the Myks, one rod that was set this year butting upon London Way. I will that she have the parlour and the chamber and cellar at the west end of my house for 10 years according to the promise I made to her at the day of our marriage to the which promise Nicholas, my son, who shall have my house and land, hath consented, being witness Edmund Aulabie vicar, Thomas Farnam and Richard his brother. Also I will that my said wife shall keep the house of mine as executor until such time as she or Nicholas do marry, if she will, to have meat and drink for her pains.” The will also gave various pieces of land and objects to different family members. The land referred to in the will as being on the London Way has since become the site of the Duxford Air Museum. The Saffron ground, mentioned in the will, was particularly important to the women of the household for their herbs, drugs, and dyestuffs. Saffron, a species of crocus, was widely cultivated throughout Europe for its deep orange, aromatic, pungent stigma used to colour cloth, confections, liquors, and food. Medicinally it was a stimulant. What a fascinating will,Ian. The details really reveal a lot about the daily lives of these people – what was important to them, how close they were to the land and the family relationships. You are fortunate to have such historic documents in your family.